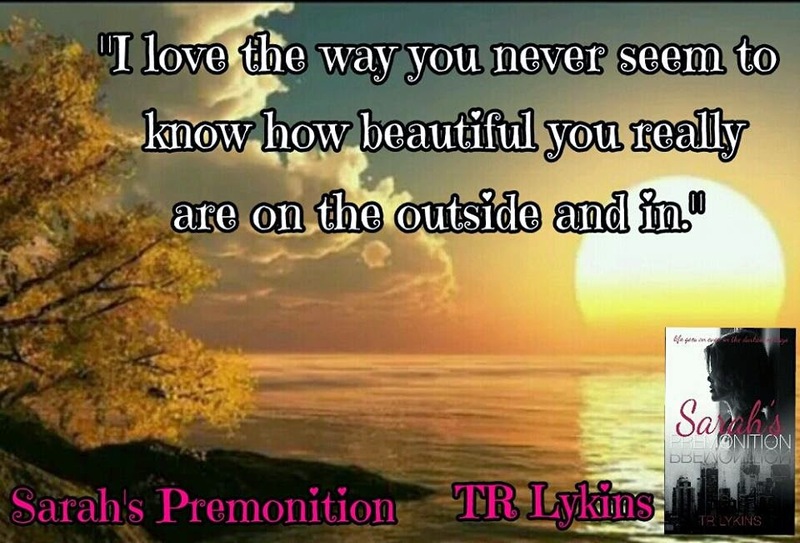 Are you interested in participating in the Release Day Event of TR Lykins new book Sarah’s Premonition on Jan 30, 2015? Review opportunites are also available for a two week tour. Please contact me if you have any questions, but otherwise fill out the google document so I can send out the packets within the next week or so. As 2015 begins, I personally want to thank each of my family, friends, and readers for making 2014 incredible. Special thanks to my PA, Sarah Long, who helps me everyday in many ways and I love her for believing in me. My street team also makes my writing journey that much easier and I love them for all that they do. 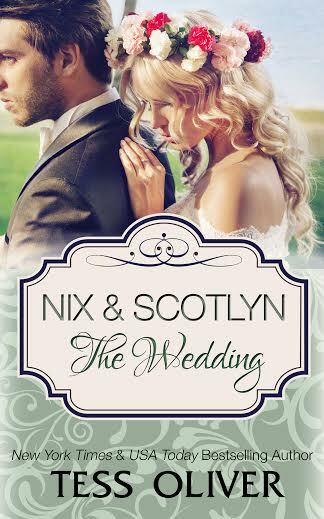 My first book in the Last Heartbeat Series was released in March 2014. The second book, The Life Gift, was released in September 2014. 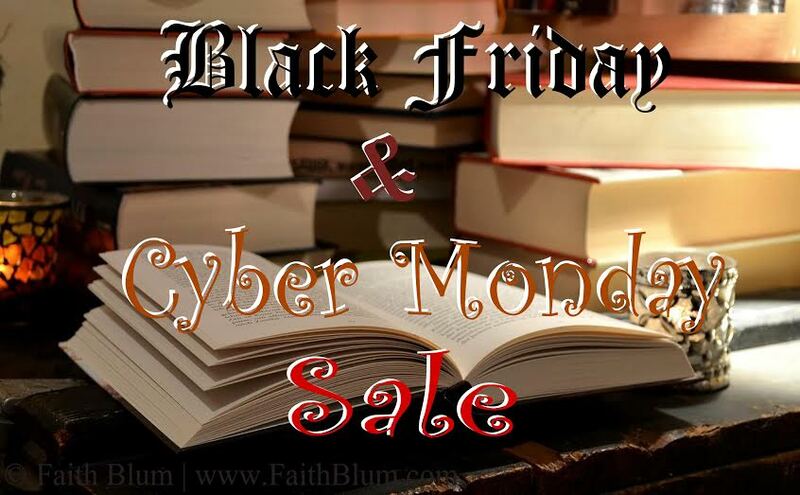 Each of you started this journey with me and I am honored to have you in my writing world. My book, Last Heartbeat, was suppose to be a stand alone book, but when I finished the first book, one of the characters said “I need my story to be told and you must write it”. I had to listen to this character and that is how, The Life Gift, was brought to life. While I was finishing The Life Gift, another story came to me, which isn’t apart of the Last Heartbeat Series, so I had to write this story after I finished my second book, The Life Gift. I dreamt about Sarah’s Premonition and as soon as I woke up, I quickly wrote down the idea. 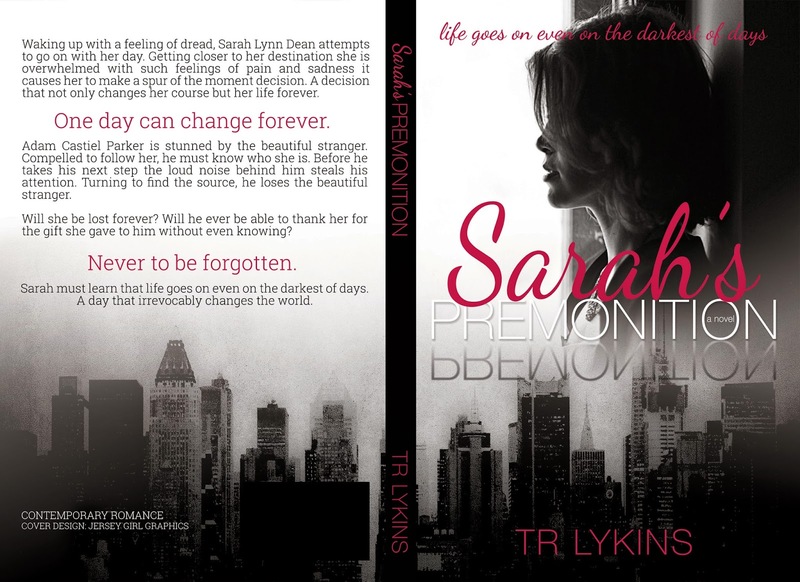 Sarah’s Premonition bugged me until it was written and I wrote it in seventeen days. After finishing Sarah’s Premonition, I had two more characters from Last Heartbeat Series too tell me that their story needs written and now I am getting ready to write these two character’s story. When I have these complete, Last Heartbeat Series will have four books total. This series started from one story and will end as four. This journey started from 2014 and in 2015, we will see what happens with each new story I write for my many readers who follow me. I am excited about what 2015 has to hold for my many stories. 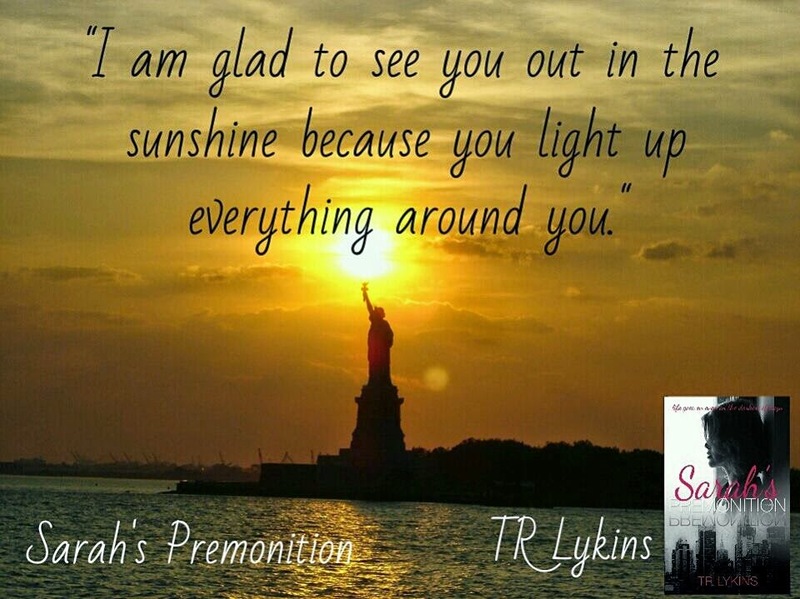 Sarah’s Premonition will be out late January. Last Heartbeat and The Life Gift will be out in audiobook in late March. My next two books in the Last Heartbeat Series will be coming soon. Since it is a New Year, I will give you the names of those books of Last Heartbeat Series to come. One More Life (Last Heartbeat Series #3) and Gabriel’s Many Gifts (Last Heartbeat Series #4) will be out spring and summer of 2015, that is my goal. I hope many blessing for each of you who reads this post. May 2015 be the year, you follow your dreams and make them happen. Only you can make your dreams come true. Happy reading!! 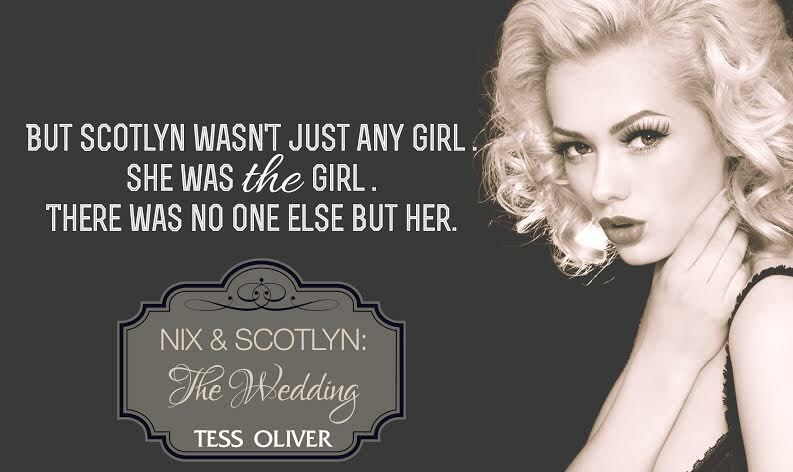 Tess Oliver is the USA Today and New York Times bestselling author of the Custom Culture Series. She lives in sunny California with her husband, kids and a herd of spoiled pets. Saddle your horses and get your spell books out because the reveal for Saddles and Spells is happening right now! Saddles and Spells is the first book in a standalone series – Saddles and Spells. Every witch needs a good cowboy to hitch her broom to. It was the Curse’s fault. There was no other explanation why Alice Young woke up married to a complete stranger. After generations of witches in her family succumbing to the Legend of the Lonely Witch, aka the Curse, Alice refuses to surrender her magic to the land. And that’s exactly what will happen if she doesn’t find true love. Stupid cliché hex anyway. Reese Mahoney doesn’t understand what he’s doing in Nevada. He should be on his way back to Wyoming. Back to the land he loves. But one night in Vegas changed everything. Now he’s torn between his dream of owning his own ranch and doing what’s right. Only problem is that his dreams are changing and he’s determined to help the woman he can legally call his wife be happy. Except, it’s a little hard when she turns down every attempt he makes. Saddles and Spells is available for Pre-Order now! PLUS, there’s a bonus. If you Pre-Order Saddles and Spell you will receive a Valentine short story with Reese and Alice for FREE! But, ONLY Pre-Orders will receive this free story, and after January 13th it will not be available for free on any digital format. M.R. Polish was born in Idaho, a long, long, long, maybe not that long time ago…. Writing has always been there for her. Growing up, her mind was filled with stories, some she shared and others she filed away to write down later in life. 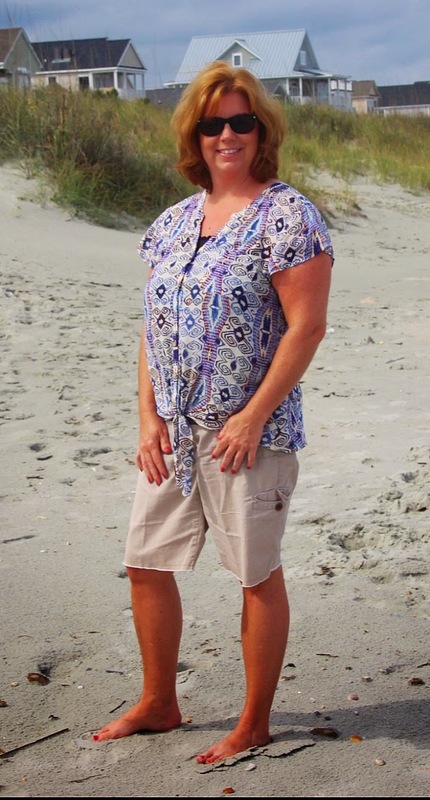 It wasn’t until 2011 that she decided to publish her stories for everyone to enjoy. Her first award and when writing became more than just an idea was in the 5th grade. She won the scary story contest for the school newspaper. It is one story she still has tucked away for memories. Her teacher told her she could be anything she wanted and that she had a talent for writing, being creative and drawing people into her stories. M.R. took that to heart and continued to write, although mostly in secret until recent years. 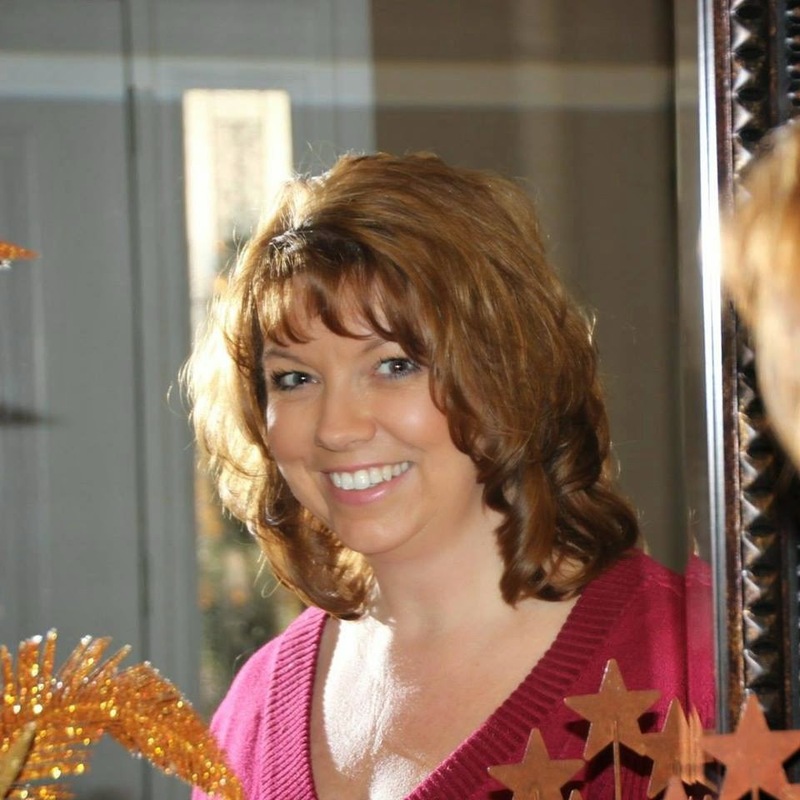 She lives in Nevada and enjoys life with her family – wrangling her four kids, setting traps in the house with toys for unsuspecting victims (aka, her husband) and writing down all her crazy and fun stories. As well as the Ageless Series, a Fantasy Romance. And sign up for her newsletter so you don’t miss a single cliffhanger…. ummm…. I mean, be the first to know all her happenings, including new releases! Wanna read more about Saddles and Spells? Here’s a fun witch hunt for you…. 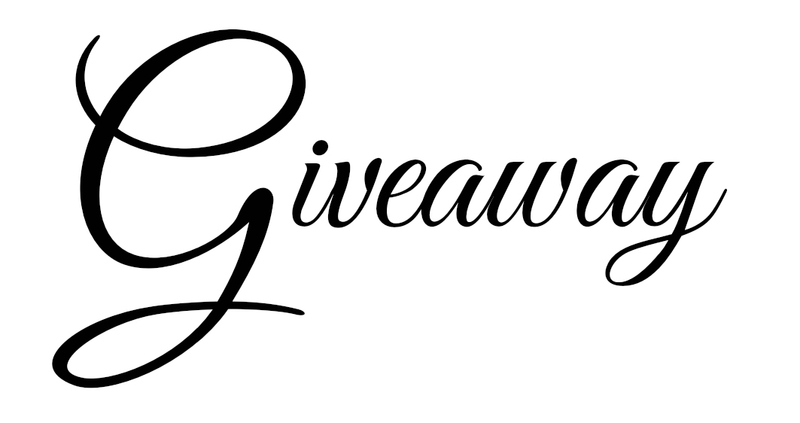 Each blog participating in today’s cover and blurb reveal has a special treat just for you! Down below is a list of participating blogs (They are ALL awesome) STAYING IN ORDER, start at the beginning, and by the time you get to the end you will have the FIRST WHOLE chapter! (It’s not even released yet so this is HUGE! She did it. She made it out. Alive. in her life, but this was by far the scariest yet. magic would fade. Stupid cliché curse. True love’s kiss. Psh. Whatever.